Supporting educational enrichment, healthy living, creativity, and community. 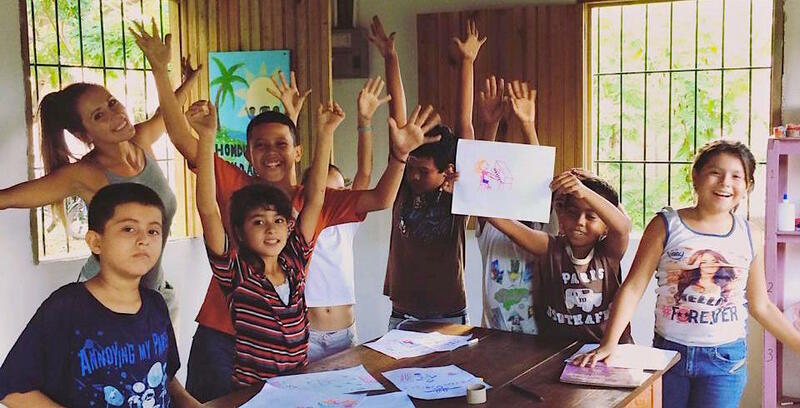 The Honduras Child Alliance provides educational enrichment and healthy living programs for children in El Porvenir, Honduras. Volunteers teach English, computers, art, photography, sports, math, and so much more! We are looking for energetic and enthusiastic volunteers who are 20+ years. 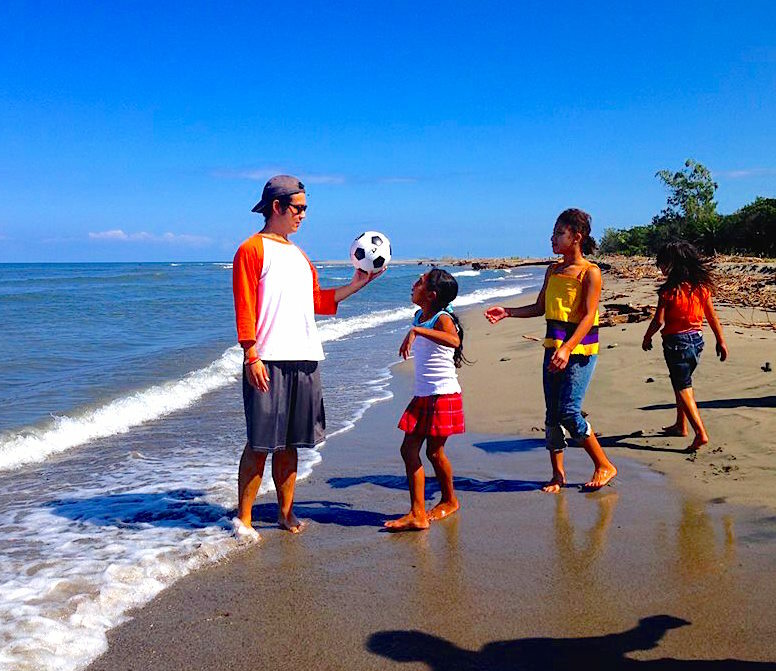 Our volunteers come from all over the world and we accept all levels of ability to speak Spanish and English. You will be helping operate programs mainly focused on elementary age children but we also work with teens and adults. Classes are split into morning and afternoon sessions Monday-Thursday and also on Friday mornings. Morning classes are from 9-10:30 AM and afternoon classes are from 1:30-3:30 PM. Volunteers must arrive at least fifteen minutes early in order to set up the classroom and review the plan for the day. For 15 minutes, kids solve puzzles and memory games; build objects with blocks; play board games, cards, and dominos; and much more in order to get their minds “prepared” for learning and creativity. During this time, the children and volunteers sit on the floor in a circle. Everyone introduces themselves by saying their name and age (in English) and then answering a question of the day. For example, if the question of the day is “what is your favorite sport?”, a volunteer or student would reply “My name is _, I am _ years old, and mi deporte favorito es _ (or) my favorite sport is ____ .” Once everyone has introduced themselves, the children are asked to review the class rules about how we treat each other. Then, the plan of the day is explained before “changing the language” to English. During this time, volunteers lead an activity (a game, vocabulary review, etc.) speaking only in English. 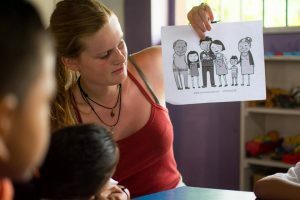 We encourage volunteers to speak slowly and using big hand motions and exaggerated facial expressions in order for the children to understand what is being said to or asked of them. English Immersion is not a time to introduce new vocabulary to students, but rather to allow them to become familiar with hearing words in English and connecting the dots. The language is “changed” back to Spanish. This time is dedicated to students improving their ability to read and write in Spanish. Once a week, each class uses either tablets or computers to read books or practice typing. Some activities have included reading a book and having students act it out, or typing lists of household items. Each activity lasts about 15-20 minutes. These activities are usually creative art projects, information on nutrition, an introduction or review of new vocabulary, field time, and much more; it all depends on the curriculum unit and primary lesson of the week. Morning classes only have one activity and afternoon classes have two. During Final Circle, students are usually asked what was their favorite activity of the day, when the next class is, and at what time. Each volunteer is assigned to lead one part of the class but all volunteers participate and assist in the full class as well as being responsible for bringing either the snack, kindles, computers, and/or other materials for each activity. 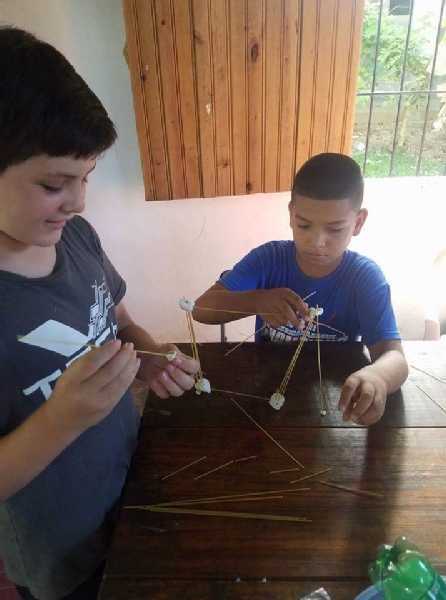 There is a year round need for volunteers as we operate the regular programs during the school year (Feb-Nov) as well as a camp style program during the November through January Honduran school break. Most volunteers stay for 3-6 months but many stay up to a year. Ask about discounted housing fees for longer stays. There are two volunteer houses that are walking distance from the projects. The cost is $42 a week ($6 a day) for the first 6 weeks and $35 a week ($5 a day) after that. If you are staying for 6+ months, rent can be further reduced. Upon acceptance to the program, there is a one time donation of $160 USD. Edwina Moran - Unforgettable Experience!! "My experience at HCA was once in a lifetime! 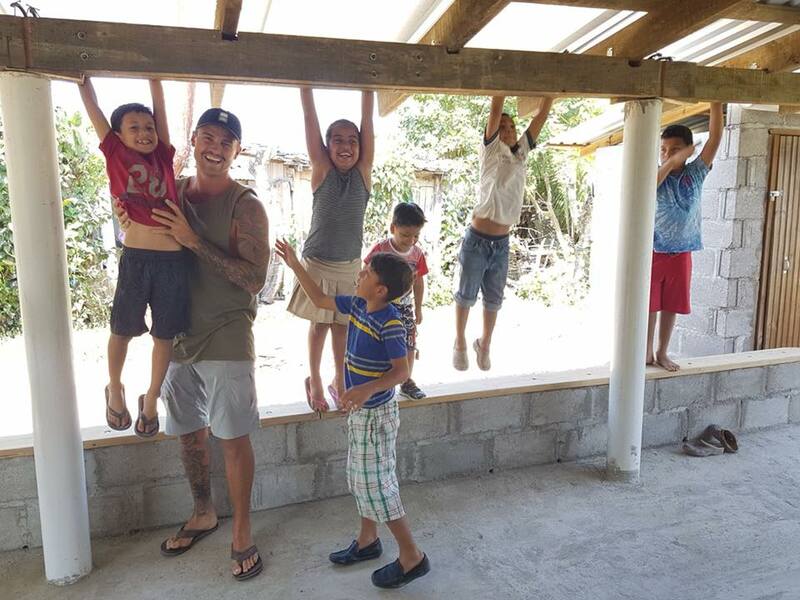 I formed such strong bonds with the children, the community and fellow volunteers that I am trying my best to get myself back there for a longer period of time. 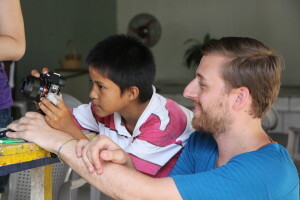 El Porvenir is such a friendly community and my experience was so positive and eye-opening. I cannot recommend HCA enough for someone looking to see the world from a different perspective, engage with an amazing community and to scrub up on their Spanish!" 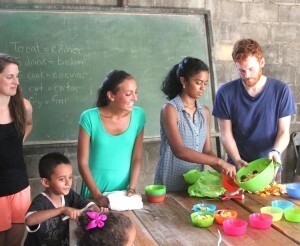 Ben Anson - A great time at the Honduras Child Alliance! "The beginning was a little bit hard for me, I had been far from home for 4 months already and I missed my family, my friends and my home. In addition to this, I had to get used to the heat, the cold water in the shower, the tap water that we can't drink - quite simply - another way of life. But when I met the children, everything was perfect. They are so welcoming and always want to learn more. Each day, I went to class from 9:00 to 10.30am and then from 1:30 to 3:30pm. The kids have their school classes either in the morning or in the afternoon. They can then come to the optional class - being the one we organize - if they want. Since we want them to come to class, we have to make it attractive. In doing so, we have to teach them English in a fun and positive way. Once a week, all the volunteers meet and talk about how classes go, how the volunteers feel about the kids etc. Some volunteers have to prepare the class organization. There are three different locations where the classes take place (Centro, PEP 2 and PEP 3), and two classes a day (morning and afternoon). I had to organize the morning class of PEP 3 for the whole week. Twice a week, I also had to organize the adult class and then go and teach there. It was really interesting to organize two different classes. Needless to say it is way more difficult to maintain the children’s’ attention than that of the adults’. Teaching is also really different but I liked both a lot. Students from adult class asked me to teach them French, which I did. Other volunteers even wanted to learn French as well. So once a week I gave French class. It was really nice to see that people wished to learn French. I loved working with all of these people. The kids are amazing. With all the difficulties that they may have - they are always smiling - always happy to be where they are." 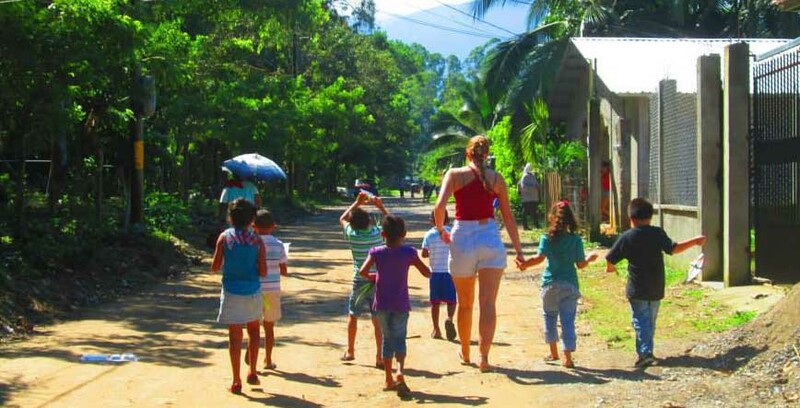 "I initially applied to volunteer for 2 months at Honduras Child Alliance, but after only a couple of weeks I requested to extend for another 2 months at least. It's difficult to describe the profound effect this place and its people have. If you are considering volunteering here I can only tell you that you will not only be immersed in a kind and welcoming community, but you will be part of a team that is diverse, fun and deeply passionate about the work of this organisation. There is a lot of effort involved, but the experience is captivating, challenging and life-changing. The wonderful kids, teens and adults who we meet and the bonds that we form with them are the reason so many volunteers extend or return, myself included. Classes and programs are planned and implemented as a group effort, with consideration taken of individuals' strengths and abilities, and we are able to challenge ourselves in areas where we feel we could improve. A lot of care is taken to include aspects of art, technology, literacy and plenty of fun. The main focus in all of our classes and Vacation Programs is to promote an atmosphere of safety and friendship, where nobody is left out and where everyone can feel respected and secure. Before coming to this country, my friends and family were quite worried about things they had heard about safety in Honduras. This is a very valid concern, but it's easy to write off a country as dangerous by what we see on the news. I'd like to stress how quiet and safe El Porvenir is, how secure the Volunteer houses are, and how friendly this community is. Of course as in any country, caution for safety must be exercised. HCA has a strict 8:30pm curfew and the volunteers become like family who look after each other. We have good relationships with many people in the community and I can honestly say I have never felt unsafe here. The 2 volunteer houses are a 5 minute walk from each other. Both have nice, homely living areas, fully equipped kitchens, plenty of bathrooms and are kept clean and tidy. I live in the house by the beach which now truly feels like home, and I love being able to see and hear the ocean every day. El Porvenir is a beautiful little town surrounded by pineapple farms and the ocean, with a dramatic mountain range backdrop. It has some stores and plenty of independant vendors and local restaurants where you can buy food and groceries. The city of La Ceiba is only a 20 minute taxi or bus ride away where you can find bigger supermarkets, malls, restaurants, and more, There are also lots of beautiful and interesting places nearby to visit for a day trip or the weekend, including hikes to waterfalls, Pico Bonito national park, Samba Creek, Corazol beach, and the Bay Islands. If you are looking to escape your comfort zone and challenge yourself, to make a difference, to experience a rich and diverse culture, to continue or try out teaching with the most wonderful and receptive kids who will steal your heart, to be a part of a multinational team, to learn, grow and give; Honduras Child Alliance is for you, and I cannot recommend it highly enough." Volunteers need to buy their own food, which is very inexpensive in the area (about $20-$25 a week). Please be prepared to make your own travel arrangements to Honduras. Due to the volunteer nature of the program, HCA uses all funds to benefit the children in their programs and is not able to pay your way. 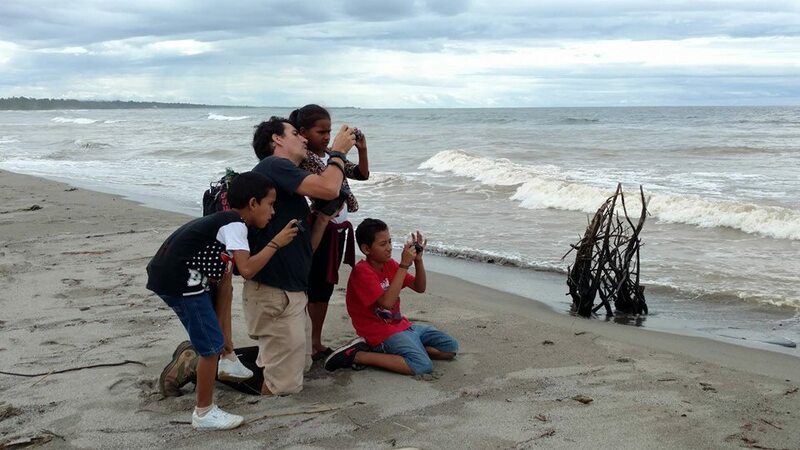 Barrio La Playa, El Porvenir, Atlantida, Honduras. 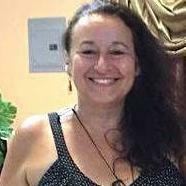 Program Manager oversees in-country operations. 'Ayudantes' (interns) are Honduran university students who work side by side with our international volunteers. We incorporate technology (laptops, kindles, and digital photography) and healthy eating into all programs. 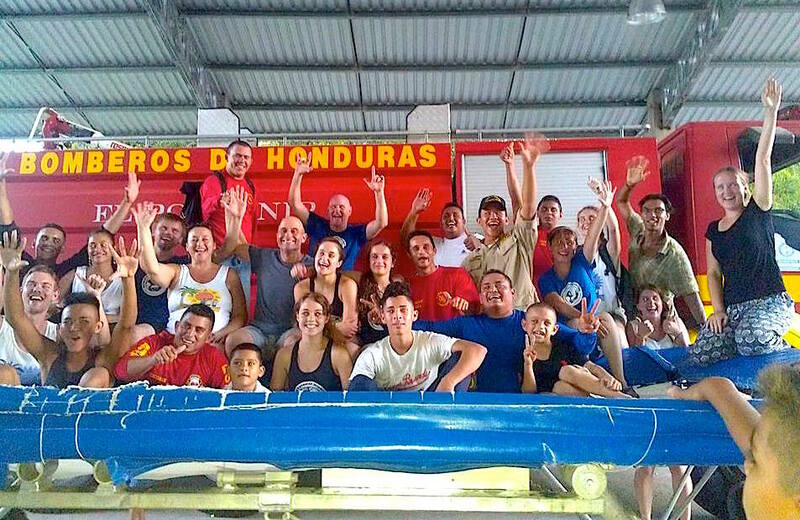 Our program is about relationships - both with the Hondurans and with volunteers from all around the world! 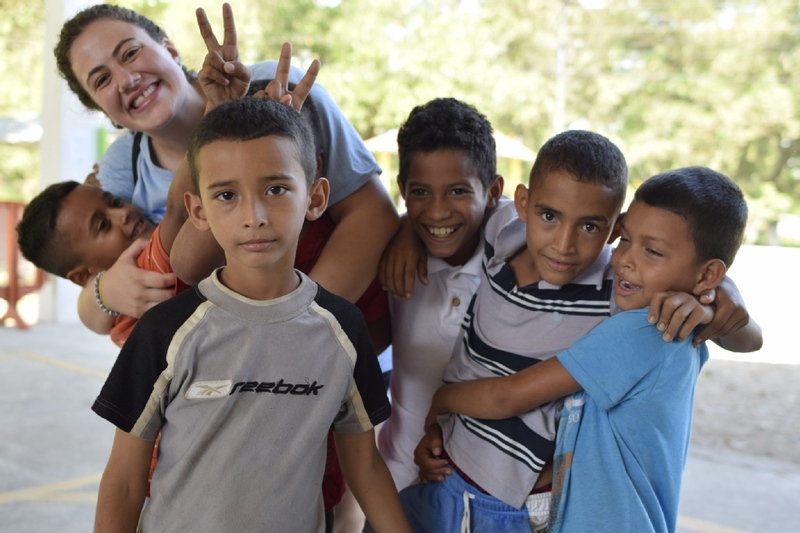 Honduras Child Alliance provides educational enrichment and healthy living programs in 3 locations around the seaside community of El Porvenir. Our main program focuses on English and Spanish literacy and includes art, games, computers, science, and sports. The children are in grades 1-6 and our program is a supplement to the public schools. There are also free English and computer classes for teens and two levels of English for adults. Moreover, we partner with our local firefighters to provide health fairs, emergency first aid training, and other programs that benefit the community. 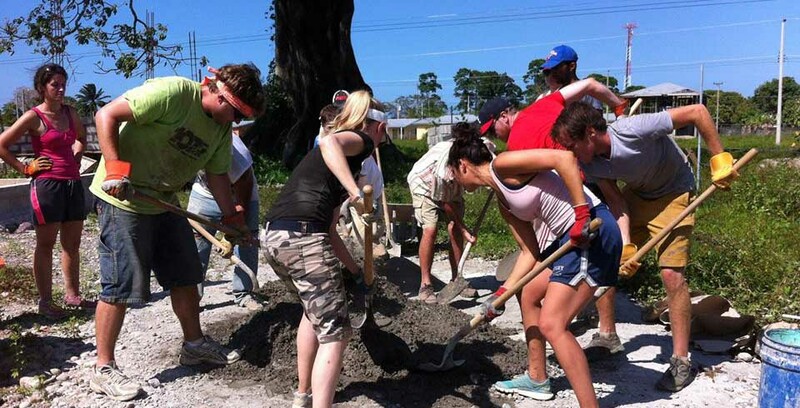 Our volunteers also assist with dental and medical teams and light construction projects. Via a partnership with the local public hospital, we also accept healthcare and dental volunteers who wish to gain international experience. 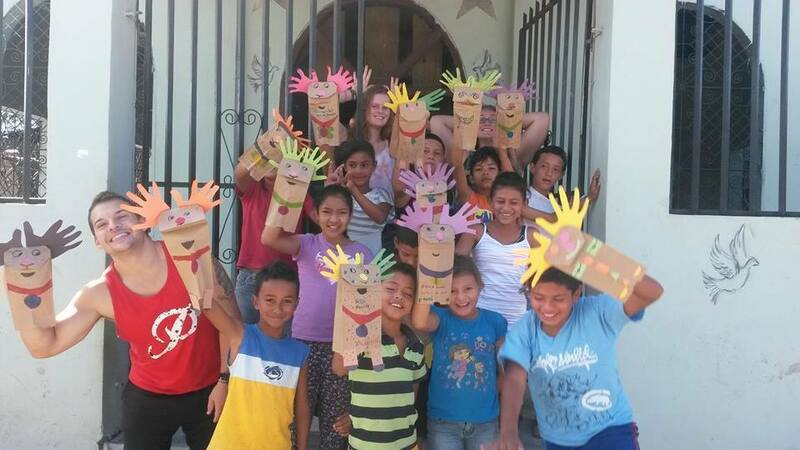 We at Honduras Child Alliance would love to hear from you!